I’m pleased to have author Meg Mims who wites as Meg Macy and is also half of the writing team of D.E. Ireland from Southeastern Michigan here to speak about her new cozy mystery, Bear Witness to Murder, that is currently on tour with Escape with Dollycas into a Good Book. Welcome, Meg. Please tell us how long you’ve been published and what titles and/or series you write. I was first published in 2011 with Double Crossing, a western historical mystery, using Meg Mims. Double Crossing won a Spur Award from the Western Writers of America for Best First Book. That book and the sequel, Double or Nothing, are with Prairie Rose Publications. I wrote several holiday romance novellas and self-published them – Santa Paws, Santa Claws, Home for the Holidays (all with rescue dogs and cats); The Key to Love and The Key to Christmas (artist-themed), Winner Takes All and A Holiday Hoax (both western romance), plus several short stories. I co-write the Eliza Doolittle & Henry Higgins mysteries (Wouldn’t It Be Deadly, Move Your Blooming Corpse, Get Me to the Grave On Time, With A Little Bit of Blood) with my college friend Sharon Pisacreta under our D.E. Ireland pseudonym; two books were nominated for Agatha Awards, Best Historical. Right now, I’m writing the Shamelessly Adorable Teddy Bear cozy mysteries for Kensington Books. Bearly Departed debuted in 2017, and the next in that series, Bear Witness to Murder that came out May 29th, 2018. You’re quite accomplished. Congratulations on the new book. The series sounds delightful. Tell us what you’re working on next. 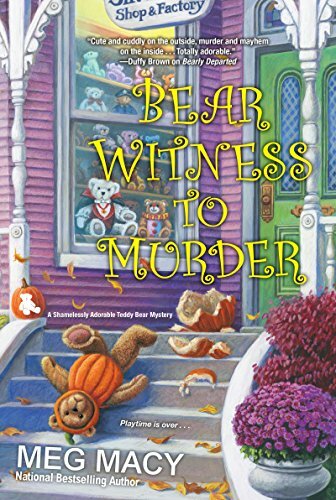 I’m writing book 3 of my teddy bear mysteries, Have Yourself A Beary Little Murder, coming out late in 2019, as well as working on a new series. I love writing cozy mysteries and my goal is to get two books published in a year or year and a half – I’m not a fast writer, so I’m trying to streamline the process and spend less time on social media. Not easy! I so enjoy sharing funny memes, jokes, and photos with friends every day. It’s like being in a close community, only spread out over the U.S. And writers are often introverts in our own world, so having that contact is important. But I do need to cut down on the time spent on Facebook! I agree about social media taking up a lot of time. I’m trying to do the same myself to get more writing time; although, as you say, it’s important to stay connected with readers online. Readers of cozy mysteries set in small towns with dogs, cats, and quaint shops. People who love and collect teddy bears, tea parties, art lovers, kid lovers – anyone who loves a good story, really. Your books certainly have wide appeal. Read, read, read, across genres – good, solid authors – and choose one to outline. The beginning, middle, end, plus the points in between. That will give any would-be writer the structure of a story, but so will Robert McKee’s Story. Know your characters – their flaws and strengths, backstories, etc. But finding your voice is key, and the only way to do that is to keep writing and never give up. Write every day. Discipline yourself to produce, learn how to self-edit and revise, learn to take criticism with grace. Learning to infuse emotions into my characters was a challenge for me. I spent far more time on research, plot, and especially setting and other details. It takes a lot of rewriting to get everything in a good balance. That’s a good point. Characters are crucial in most books and especially cozies. Do you belong to any writing groups? Which ones? I belong to Sisters In Crime (national and local), Novelists, Inc., and a Facebook group of historical authors called Sleuths in Time (my friend and I write as D.E. Ireland) – we share information about our books and research. I’m hoping to start a Facebook group for fans of cozy mysteries set in Michigan or the Great Lakes region, too. Nice. I’m a Sisters in Crime member, too. I’m an artist (watercolor, pen/ink, mixed media) although I haven’t had much time for it over the past five years. I love reading (every day), love visiting tea rooms with friends for lunch (at least once a month), and must exercise (to improve my health) by either walking at the mall or working out at Planet Fitness. I also love Pinterest, relaxing over photos of teacups, flowers, gardens, book nooks, etc. It’s marvelous. I enjoy watching classic movies with a big bowl of popcorn. Very nice past times and relaxing, I’m sure. I have lots of ideas, but getting a detailed outline is a challenge for me. Writing is so much easier when you prepare as much as possible ahead of time. 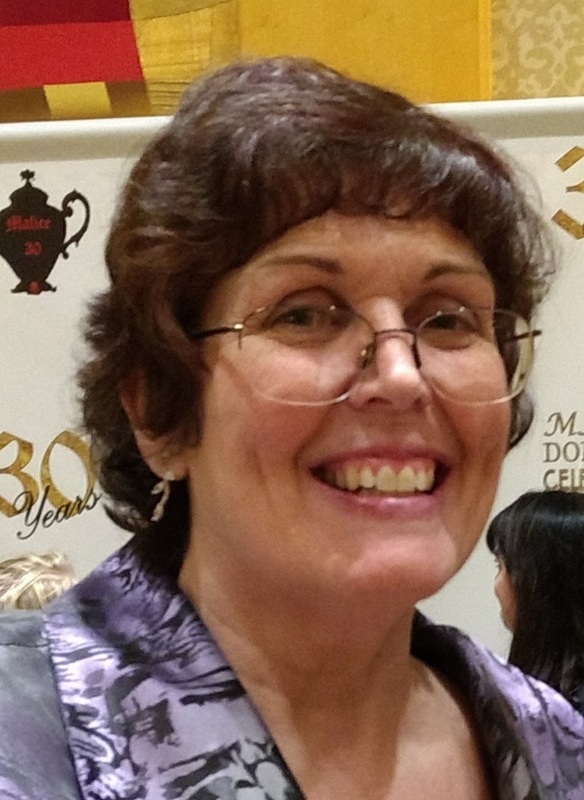 I also think self-promotion is much tougher for authors now, although Kensington is really wonderful about helping spread the word about their cozy mysteries. Still, it seems a “social media” presence is necessary – and I prefer Facebook to Twitter. I share photos on Instagram but keep my author info to a minimum there. I outline very little myself and I agree that can make things difficult, and I also find promotion challenging. I wish I had a larger publisher like Kensington behind me (still querying), but I know authors today need to promote themselves on social media as you say no matter who they publish with. What do you like about writing cozy mysteries? I was an early reader of Agatha Christie and Dorothy Sayers, so the “twist” is important to me. I try hard to incorporate that in my work and hope to surprise readers. I also enjoy creating the quaint setting (and wish I lived in a small town), the “family and friends” community atmosphere, the lack of graphic blood/gore and profanity. I am not a fan of books that utilize all that for shock value, or show violence toward women and children. Just not my cup of tea. That’s how I feel. I also like to add twists to my mysteries. Can you share a short excerpt from your latest title or upcoming release? So much had changed in the short time since “Will’s Folly.” That’s what Silver Hollow residents now called the murder of the Silver Bear Shop & Factory’s sales rep, Will Taylor, before Labor Day. Few were sad; Will hadn’t been popular with our workers. Still, others had been affected in the aftermath. Murder was a nasty business. Sales at the shop boomed from all the publicity, good and bad, and visitors to the area tripled. But I wasn’t proud of nearly getting myself killed by sleuthing. I’d learned my lesson. In record time, the Wentworths had hired a crew to clear out and clean the entire Queen Anne-style house from top to bottom. Then they brought in a massive black walnut sideboard for the front parlor, plus square tables and chintz-covered chairs in a pink, green, and gold rose pattern. They’d installed teacup chandeliers – four in each parlor and two in the library. Crisp linen cloths in pastel pink or green draped the tables with white lace overlays. Place settings in an eclectic array of teacups, saucers, plates, and flatware added to the charm. Gold-framed landscapes of the English countryside and castles hung on the walls. I had to admit the tea room was an improvement over the dowdy bed-and-breakfast. “Celia! Stop that,” Elle hissed to her younger daughter, who was dunking a shabby teddy bear’s nose into her full teacup. “Mom, she spilled all over the tablecloth,” said her older daughter, Cara. “The strawberry cream cheese,” Celia sang out. When she turned to speak to her friends, I noted Elle’s discomfort. We were all worried sick for her and my cousin Matt. Bad enough that people ordered books online instead of visiting small bookstores like The Cat’s Cradle. But the competition from Holly Parker’s new toy and bookshop, Through the Looking Glass, would draw customers away and cut into their profits. I knew full well that Matt and Elle were barely surviving. I glanced at the large corner table where Holly Parker sat with a red-haired woman. Holly and I shared a bitter rivalry long ago in high school; she hadn’t changed her hairstyle, still wearing it straight and long, although her tortoise-shell glasses looked modern. I tried to keep an open mind about her return to Silver Hollow, although I had to wonder why she chose to open a shop two weeks ago in direct competition. That didn’t set well with me or my family. Holly looked like an ingénue in a white dress with a row of sparkly rhinestones along the neckline. She’d always favored white, from what I recalled, which set off the natural olive hue of her complexion and tanned limbs. A pale pink jacket with silver bling spelling out think pink was draped behind her chair. That reminded me of her extensive collection of Pink Panther memorabilia. Or perhaps “obsession” was more apropos. To each their own, I supposed. I wasn’t pleased reading Dave Fox’s Silver Hollow Herald, which quoted Holly as saying “Our shop is already number one in sales here in Silver Hollow.” That seemed a stretch. Maddie had witnessed her double-parking in the middle of Theodore Lane and getting ticketed by the local police for it, over the weekend she’d moved into the former Holly Jolly Christmas shop. That reminded me. I needed to ask about some stray bears. “Are you both enjoying the party?” I asked. Holly beamed at me. … My sister Maddie met me at the kitchen doorway and pulled me out of sight beyond the swinging doors. She waved her cell phone in triumph. Is there anything else you’d like our readers to know about you or your books? They can all be read out of order, but if you want to learn more about the characters’ growth over the series, start from the beginning. In my teddy bear series, I like to put kids in the books’ beginning, either in the shop or at an event, because teddy bears are important for children – for comfort, companionship, and lifelong friendship. The books in my Cobble Cove series can also be read as standalones, but it is better if you start with the first one, A Stone’s Throw, because the main characters develop as minor ones are added or leave. I like the idea of the teddy bears in your books. For adults, they bring back special memories of childhood and create a charming theme to your stories. Next Post What’s Your Great Read?